hello, hello! how is your week going? matt is home sick today so i've got chicken noodle soup simmering and saltines at the ready. it seems to be that time of year already. but no matter, i'm downing airborne and washing my hands every chance i get. 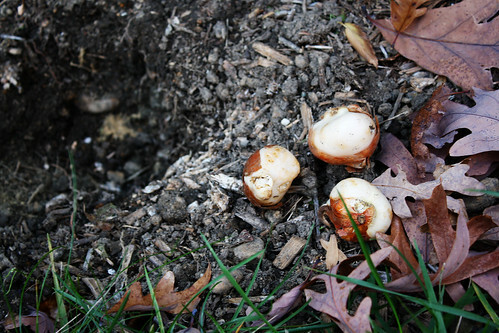 over the weekend we planted bulbs, only to find them dug up yesterday morning. those squirrels drive me crazy! i spent yesterday researching ways to keep the pests at bay. do you have any favorites? i settled on a spray from the garden center which is made up of several pungent ingredients. fingers crossed, i will plant them again tomorrow. ps. i must thank you for your kind words about my end table. i'm so glad you enjoyed it. i love when projects are so rewarding at the end, don't you?